Site 70 at Yegua Creek Campground where I parked had a lovely view of the lake which would have been partially obscured had there been another rig in site 71. SITES: 82 sites, 65 of which have 50-amp electrical and water hookups; 8 sites have water hookups. SPACING: It varied. As little as 5-10′ in some sites, more in others. Grassy areas between sites. That’s a little too much about connectivity, isn’t it? RESTROOM RATING: Pass (I assign a Pass or Fail rating based on many considerations including: cleanliness, usability, hot water availability, hand soap availability, ease or difficulty it is to use the toilet paper, condition of fixtures, if using the restroom is a pleasant or unpleasant experience, etc.) The restrooms here were better than the other COE parks I’d been to. The campground had a facelift a couple years ago. 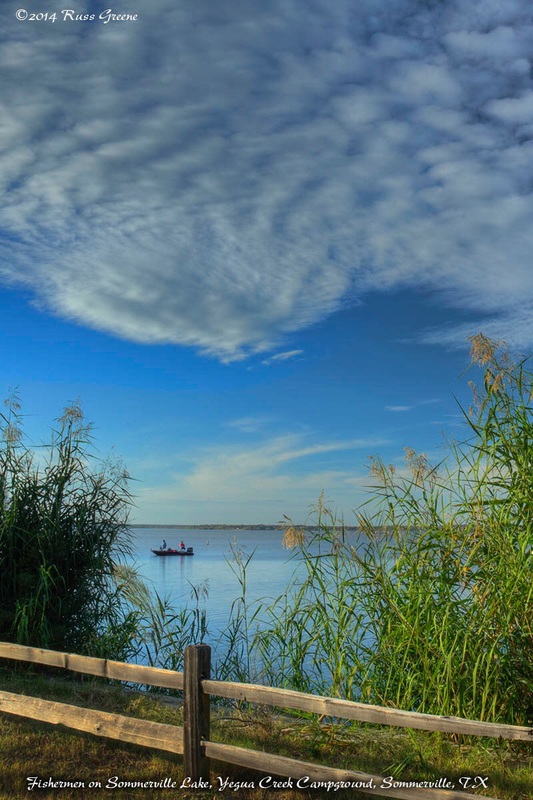 Some fishermen–would be it more politically correct to say “fisherpeople ?”–try their luck near the shore of Lake Somerville. 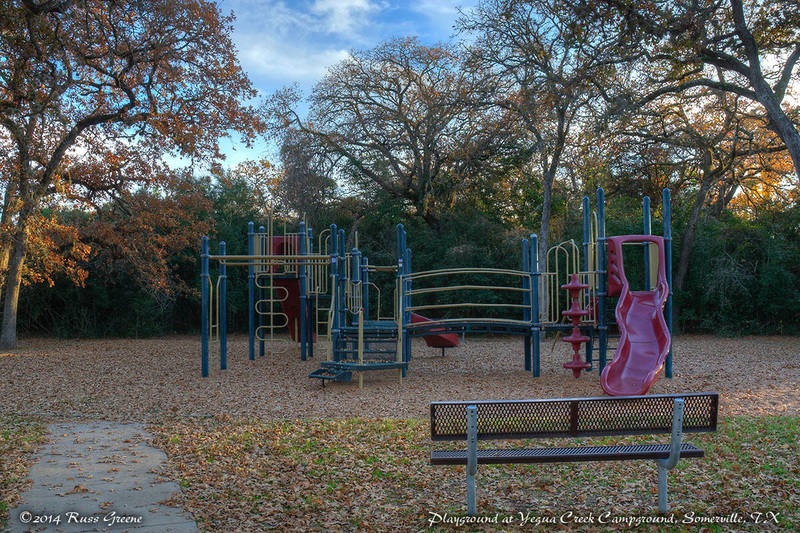 When I arrived at Yegua Creek Campground in the early afternoon of an early December day with temps near 75º the campground was virtually deserted. There was but one other campsite occupied. Later on a “mad rush” of maybe three other campers rolled in bringing the total number of occupied sites to about 5. The first thing I noticed when rolling in was a small group of deer in a large open field to my left. As I drove around the three campground loops looking for a spot to settle into with my little RV family the next thing I noticed was more deer. While walking the campground later to stretch my legs and get a better feel for the place I’m sure I saw something in the neighborhood of 40 of them. I think you get the picture. Funny thing… you seem to be able to drive up very close to the deer but if you approach on foot they scurry before you’re nearly as close. I was reminded of Africa where the lions and other large beasts ignore you as long as you’re in you’re vehicle, but step out of it and you’re lunch! This is an Army Corps of Engineers (COE) campground on the shore of Lake Somerville that was refurbished a couple years ago. Most of the parking pads are close to level with dirt and gravel surfaces. They receive varying degrees of shade. The main road within the park is asphalt. Many of the campsites are spacious and should be able to accommodate very large rigs although in some the trees could use a little trimming to reduce what might be overhead clearance problems for some rigs. 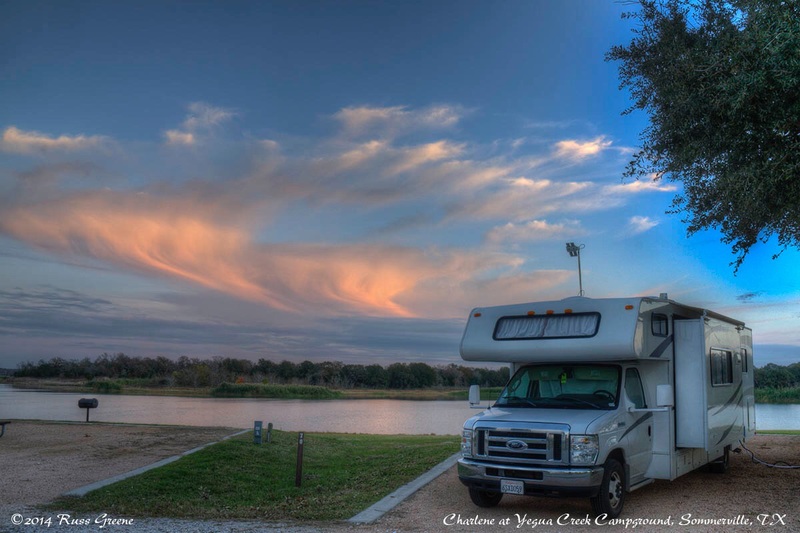 The three campground loops are all near the edge of Lake Somerville so some sites have views of the lake. That may depend on whether or not there is a rig in the campsite next to yours. I was fortunate that the campsite on the lake side of #70 where I parked was vacant providing excellent views of the lake, waterfowl and, umm, err… you guessed it, deer as they meandered by from time to time. A heron, or some other large, long-legged bird has been stalking the lake shore maybe 50 yards from my campsite the whole time I’ve been working on this report. Restroom and shower facilities in my loop were very nice as far as COE campgrounds go. Clean, spacious, and these, unlike other COE campgrounds I’ve been to, had showers where you could adjust the temperature and shower-head to suit. Yay! You go COE! Now you’re starting to get it.The COE still hasn’t figured out, however, that hand soap needs to be provided in restrooms. 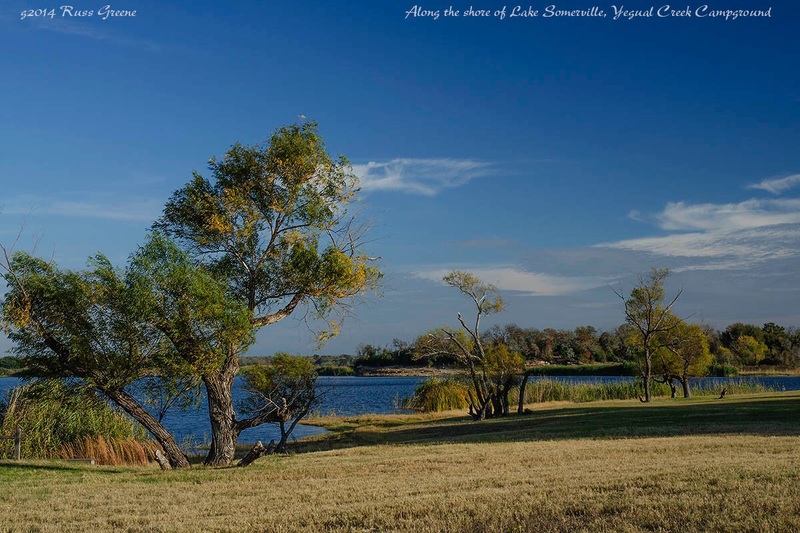 The state of Texas maintains two parks in the area and publishes the PDF document Birds of Lake Somerville State Park. 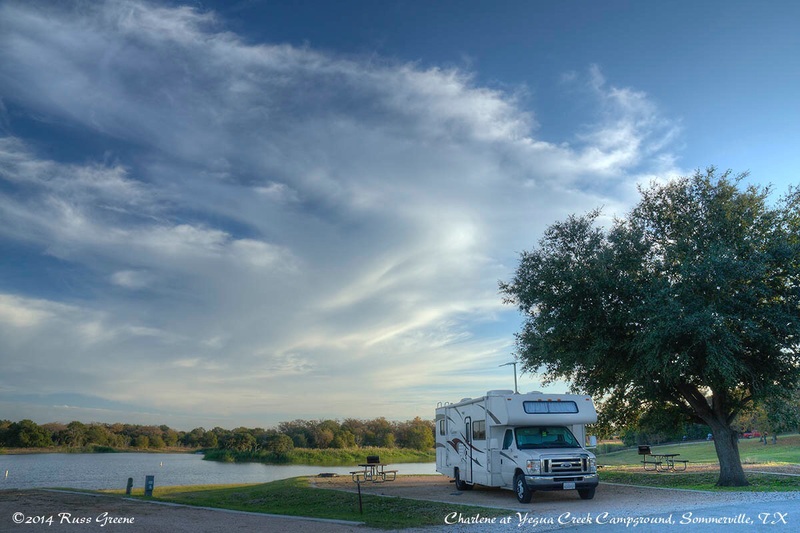 Although Yegua Creek is not a Texas State facility the birds don’t seem to understand this and frequent this campground area just as they would the nearby Texas State Parks. Dumb birds! Ha! From Birds of Lake Somerville State Park: …“Lake Somerville is an impoundment of Yegua Creek, a major tributary of the Brazos River… Aquatic, wetland and/or floodplain habitats include (1) open water; (2) shallow marshy flats; (3) mud flats during low water periods; (4) saline grassy flats; (5) riparian woodlands along the creeks; and (6) an extensive, cleared pastureland on the flood­ plain. 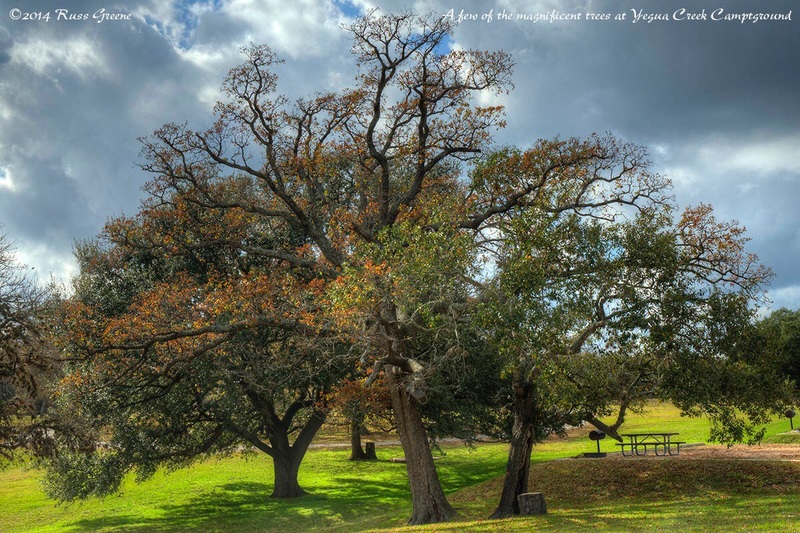 Upland habitats in the park include (1) oak-hickory woodlands; (2) little bluestem dominated grasslands; and (3) yaupon thickets… This reservoir receives heavy use by many species of ducks, herons and egrets, as well as grebes, wood storks and white pelicans. 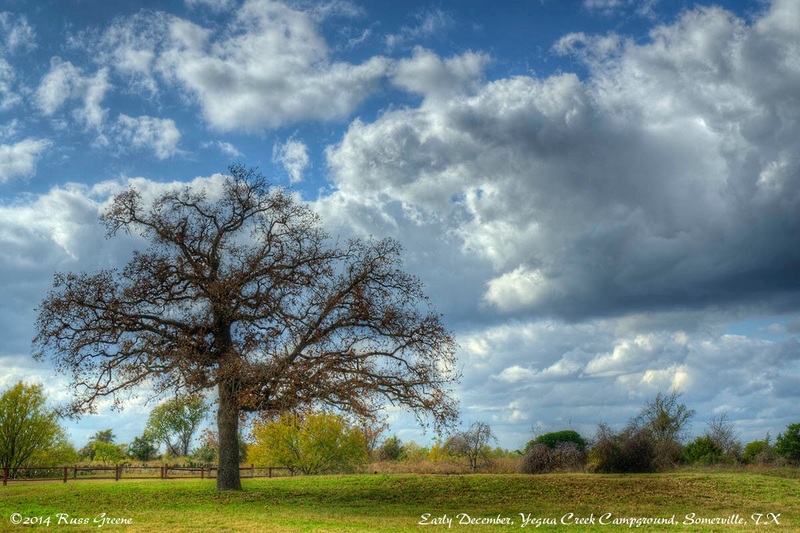 This area provides the best chance in the central Brazos River valley to observe wintering Bald Eagles and migrating Osprey. Both Double-crested and Olivaceous Cormorants are regular visitants to the lake. Indeed, through the window of my RV I observed sandpipers, herons, egrets, ducks, raptors and numerous other birds which I could not so well identify, oh, and deer. Did I mention the deer? I also believe I heard the unmistakable call of a red-tailed hawk. A couple gents were fishing for catfish along the shore as I walked around the area and others could be seen trying their luck while floating about the lake in their boats. There are no fewer than two boat launches within the campground. 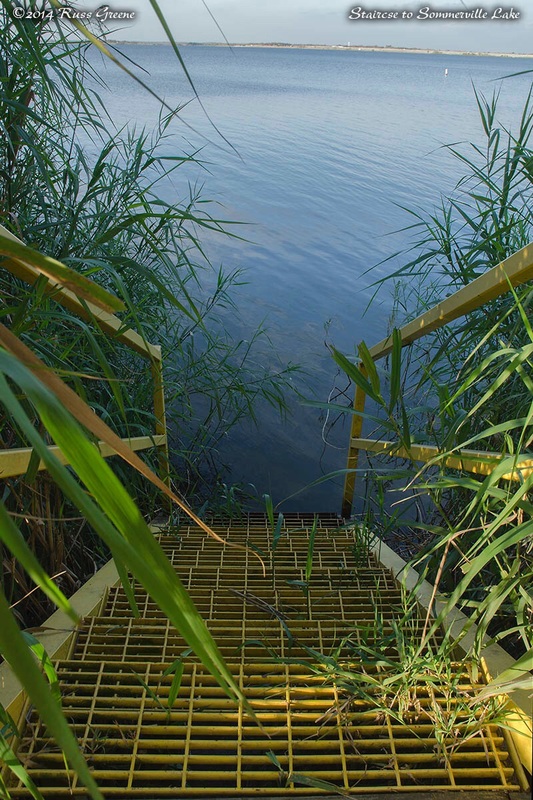 Water sports and hiking are other activities people enjoy in the area. While it was delightfully quiet during my stay it’s not difficult to imagine what it might be like here during peak season with all the campsites filled and scores of screaming children running about—I think this is a very nice facility and I imagine it is held in high regard by others as well.